Since the September 2001 attack on the Pentagon and the World Trade Center, news on terrorism and terrorist activities has become common. Many plots have been made, but luckily, most have failed or have been discovered before the unthinkable could happen. Here is a list of 10 failed terrorist plots. Terrorism predominantly occurs in urban and densely populated areas with the aim of causing maximum casualties. However, the failed attack of the US Navy vessel the Sullivans illustrates the extreme lengths that terrorists go to just to instill fear. This happened in January 2000 when a group of Al-Qaeda terrorists hatched a plan to attack the USS Sullivan while it was docked at Aden, Yemen. The terrorists planned to load explosives into a smaller boat, drive next to the ship and detonate it. The plan failed to work because their boat sank immediately after it was loaded with explosives. This terrorism failure is the hallmark of the FBI’s dedication to their work and calling of protecting Americans. Hosam Smadi was subjected to 10 months investigation during which the 24 years old was arrested, tried and sentenced to life imprisonment. The FBI got wind of his radicalization when he began posting worrisome posts on a known radical Islamic website in 2009. He was lured into communicating with the FBI who had led him to believe that he had found an Al –Qaeda sleeper cell. A fake bomb was supplied to him with the instructions to blow up the Fountain Place Skyscraper in Dallas. He fell into the trap and was arrested promptly. The US was on a very high alert after the September 11th terrorist attacks. 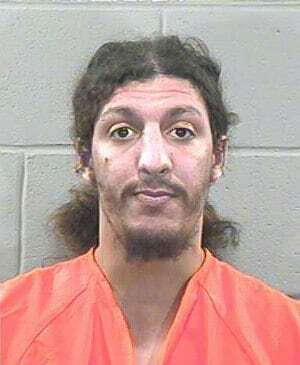 It was a bad time and a bad idea to try out an act of terrorism, but not for Richard Reid. He thought that he was capable of bringing down a plane from Paris to Miami in mid-flight. He was popularly known as the “Shoe Bomber” because he packed explosives in his shoes. During the said plot, he secretly attempted to detonate the explosives which were sufficient to obliterate the commercial airliner. His plan failed because he was unable to light a match required to ignite the explosives on time. Eventually, he was able to light the match but it was useless because his shoes were wet from his own sweat. Passengers who noted his strange behavior restrained him and he was eventually arrested. The United States soldier’s mandate includes fighting enemies both domestically as well as outside the borders. This is a plan by six men who were later arrested when they planned to use grenades and assault rifles to attack US soldiers at Fort Dix. The young men attempted to videotape the assault and have it converted to DVD. However, the plan was uncovered before they could accomplish their mission and they were arrested. Innocent lives must be preserved protected and that is why the CIA, FBI, NSA and other government agencies work tirelessly. These government agencies did just that in the case of Nuradin M. Abdi, a young man of Somali origin. Nuradin had gone to various parts of Africa to obtain skills and training necessary to carry out attacks which would have left a trail of death and destruction. The Department of Justice got wind of his suspicious travel activities and began to keep an eye on him. At the time of his arrest, he had planned to plant a bomb in an Ohio shopping mall. The plan failed and Nuradin was arrested. He pleaded guilty to conspiracy to kill innocent Americans and was sentenced to 10 years in prison. For an attack on people with specific beliefs, someone would most definitely choose a metropolis. New York City is one such metropolis and that is what happened when a group of 4 men hatched a plan in 2009 to bomb a synagogue. Their plan was ruined thanks to an undercover agent who infiltrated a local mosque where the plan was being hatched. The group was led into a trap when they attempted to buy their supplies, and eventually, they were arrested. Terrorists always hope to inflict fear when they attack their enemies. Their heinous acts are deemed glorious when they inflict maximum misery. Faisal Shahzad chose Times Square as his target. He drove his car fully loaded with crude explosives near Times Square. He illegally parked it and lit the fuse of the explosives before trying to flee the scene. A wiring failure prevented the explosive from exploding and people who noticed his odd behavior intercepted and he was arrested. He is now serving a life sentence in a maximum security prison. In 2002 six men were arrested in Western New York in connection to terrorist ties. These men came to be known as the Lackawanna Six and their arrest came when the FBI found out that they had attended an Al Qaeda sponsored training camp in Afghanistan. Even though they pleaded guilty to aiding the Al Qaeda their prison sentences were not severe because they had not actually engaged in any terrorist activities. In 1605, a plan to blow up the House of Lords was hatched in London by several men. The occasion was the State Opening where the king, as well as members of Parliament and other high ranking officials, were to attend. The plan was thwarted when an anonymous letter was sent to Lord Monteagle which pleaded with him not to go for the State Opening. The king was unsure of the validity of the letter, but the building was searched for any unusual items nonetheless. When the cellar was searched at midnight a man named Guy Fawkes was found with gunpowder barrels. The plan was foiled and Guy Fawkes, together with his co-conspirators, were sentenced to death by hanging. On Christmas Eve of 2009, Umar Farouk Abdulmutallab looked forward to making the day a misery for innocent Americans. He boarded a transatlantic flight from Amsterdam to Detroit, armed with explosives that were firmly sewn in his underwear. He was able to get through security undetected and aboard the plane with his homemade explosives. The plane was already descending when he attempted to detonate the explosives, and they malfunctioned. However, there was a small explosion. One passenger said that it sounded like a firecracker and in the process Abdulmutallab caught fire, but it was put out. He was arrested upon landing and later sentenced to life imprisonment.